Iran tested a cruise missile called “Soumar” that is capable of carrying nuclear weapons in addition to test-firing a medium-range ballistic missile on Sunday, German newspaper Die Welt reported Thursday, citing unspecified intelligence sources. 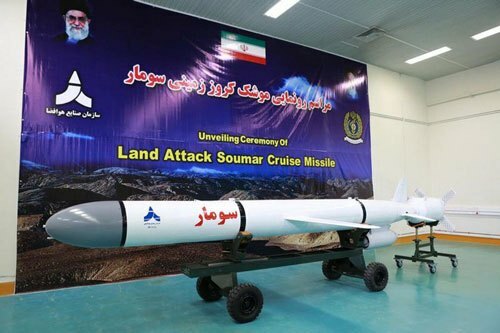 The newspaper said the Soumar cruise missile was built in Iran and traveled around 600 kilometers in its first known successful test. The missile is believed to be capable of carrying nuclear weapons and may have a range of 2,000 to 3,000 kilometers, the paper said, citing intelligence sources. News of Iran’s reported cruise missile test came hours after the White House put Iran “on notice” for its ballistic missile test and signaled that it could impose new sanctions, taking an aggressive posture toward Tehran that could raise tensions in the region.